The dust from Apple’s launch event has settled following the unveiling of the iPad Pro, an upgraded Apple TV and, of course, the iPhone 6s series. Amid the spoils was another product benefiting from a major upgrade, the iPad Mini 4, only its moment was spent lingering in the shadows. Apple senior vice president, Philip Schiller, announced the fourth generation iPad Mini in passing. Schiller dedicated eighteen seconds canvassing what changes had been made to the Mini slate; 18 seconds of an event that had a runtime of 139 minutes. Nor is it the first time Apple undermined the significance of the iPad Mini. Last year the company introduced the iPad Mini 3, and what separated it from its predecessor was the inclusion of Apple’s TouchID finger scanner. Its moment was less brief at 29 seconds. Upgrades made to the iPad Mini 4 are substantial. 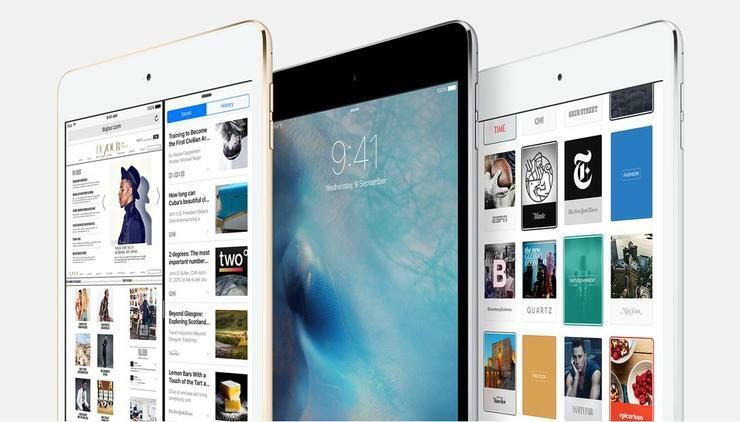 Noteworthy cues have been taken from the iPad Air 2 to position Apple’s smallest tablet among the best in its category. This year’s model represents a departure in design, with it measuring 18 per cent thinner at 6mm and 12 per cent lighter at 299 grams. A thinner, lighter tablet makes for a better mobile computer. Computing hardware has been bumped up for the first time in two years. The fourth generation Mini packs Apple’s A8 processor and its companion M8 co-processor, which is the processor found in the larger iPad Air 2. A recent teardown performed by iFixit reveals two interesting tidbits about the Mini’s internals. Firstly, its RAM has been doubled to 2GB and, secondly, the battery has shrunk in capacity by 21 per cent to 5124 milliamps-hour. Apple maintains the Mini 4 will uphold its 9 or 10 hours of battery life — respective of the cellular or Wi-Fi only model — as the revised iPad is more energy efficient. This is owed in part to the fully laminated manufacturing technique used by Apple, and the application of an anti-reflective coating. Softening reflections improves readability without resorting to uneconomical levels of brightness. Wrapping up the changes to this year’s iPad Mini is an improved rear camera, which has jumped from 5-megapixels to 8-megapixels. The fourth generation iPad Mini has gone on sale with prices starting from $569 for the 16GB, Wi-Fi only variant. The steep pricing puts Apple’s Mini tablet in the ballpark of Samsung’s full sized Galaxy Tab S2, with its equivalent 32GB model retailing from $599.